At DentalPlans.com, we make it simple for you to find an affordable dentist in Kansas City, KS. Simply type in your ZIP code to save money on General Dentistry with an easy-to-use discount dental plan. Select one of our featured discount dental plans and get ten percent to sixty percent off most dental care procedures from participating dentists like Dr. Benjamin P Unruh. Simply visit Dr. Benjamin P Unruh or any other participating dentist in Kansas City, KS to obtain deep discounts on General Dentistry and other dental care services. 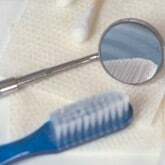 At DentalPlans.com, our discount dental plans start at only $79.95 per year and can provide you with significant savings on most dental care procedures like on General Dentistry and more. If you are looking for an affordable dentist in your area, DentalPlans.com features the most dental care providers in combined networks anywhere! So if you need to see a dentist or specialist about a teeth cleaning, fillings, root canal, dental crown, braces, or even dentures, we can easily help you find a dentist or dental care specialist in Kansas City, KS.